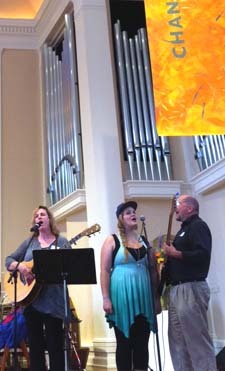 First Congregational Church of Berkeley celebrates the personal stand that President Obama has taken on marriage equality. 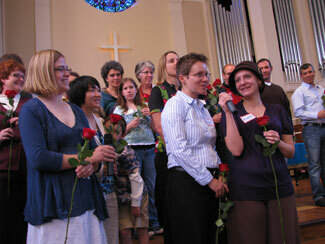 First Church has been an “Open & Affirming” congregation (welcoming all people including those of different sexual orientations) in the United Church of Christ for over 15 years and has taken public positions in favor of equal rights for the lesbian, gay, bisexual and transgender community. First Church took a clear stand against Prop 8’s ban on gay marriage and worked to defeat it. The hope of the church is that the personal positions of elected officials will translate into policies and laws that protect the rights of all people.